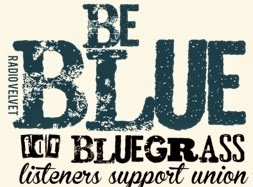 Please make welcome a brand new radio station for all lovers of bluegrass and acoustic music, Radio Velvet. Radio Velvet is a free, listener-supported internet radio. Radio Velvet is committed to building a musical bridge between European and American bluegrass fans, and to give a helping hand for European bluegrass musicians to share their music. Radio Velvet is free for the listener, but still has costs associated with delivering the music to you; accordingly, Radio Velvet is offering a special program called Be Blue which gives the listener the opportunity to support the station through an annual subscription, and in return receive special perks for the loyal listeners who have opted to support us with an annual donation. If you have musical news that you would like to share on our radio station, or want to give us feedback about your listener experience, please send us an email at radio@velvetmusic.eu.